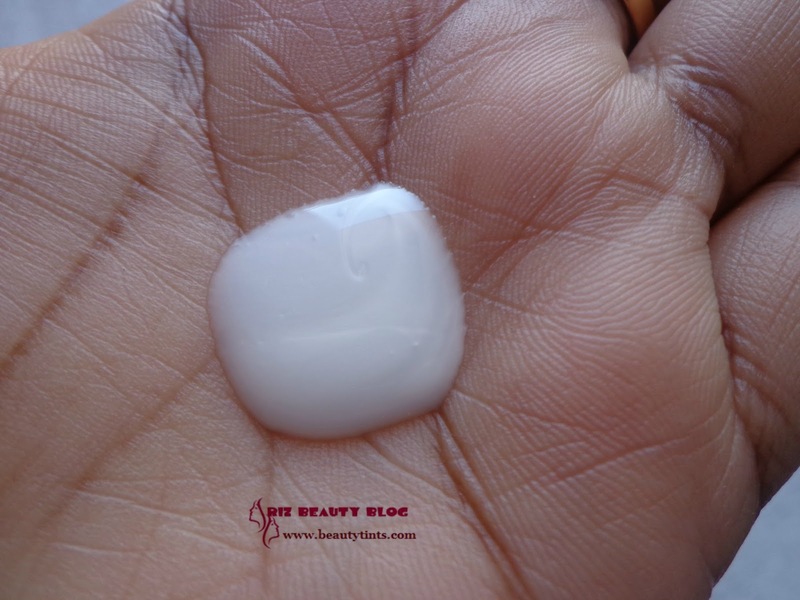 Sriz Beauty Blog: Bio bloom Lavender Apricot Cleansing Milk Review!!! 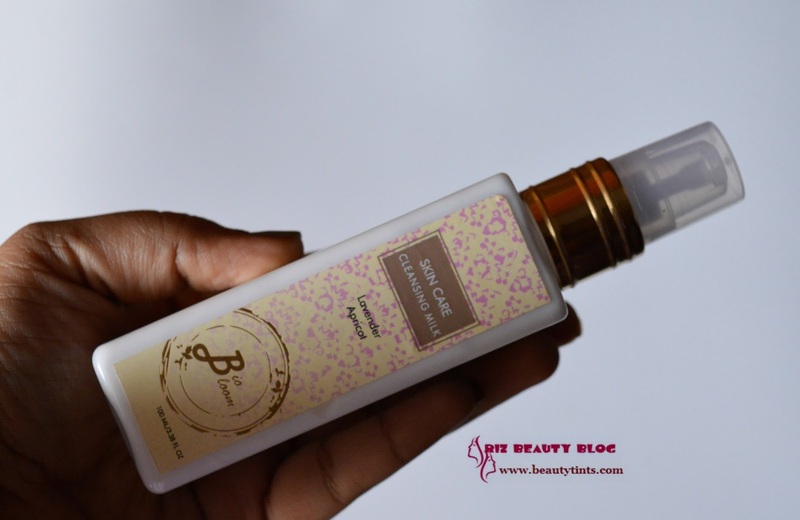 Bio bloom Lavender Apricot Cleansing Milk Review!!! 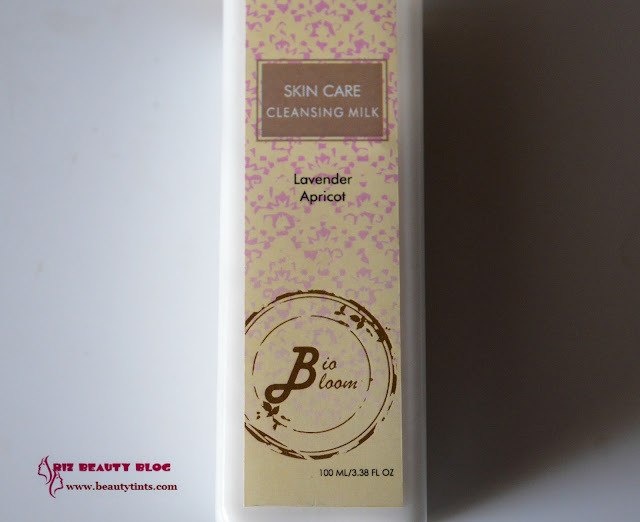 Today I am reviewing Bio bloom Cleansing Milk,which I received in the December MSM Express Box.This is one of the good cleansing milks I have used so far and I have been using it a lot these days.This is enriched with the goodness of Lavender and Apricot! 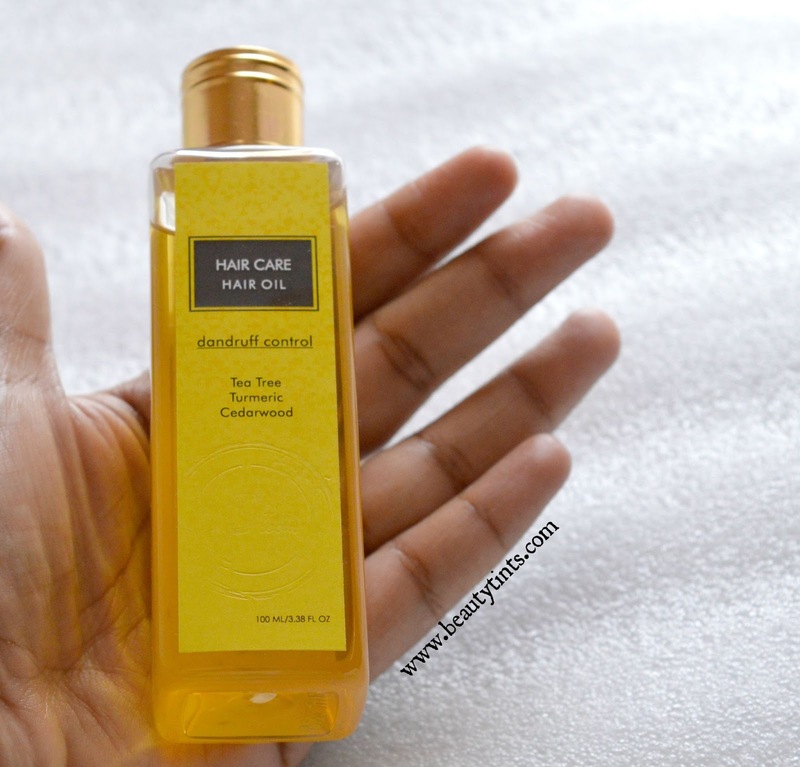 Ingredients : Lavender Essential Oil, rose water, cold pressed oils of Jojoba, Sweet Almond,Apricot kernel and wheat germ,Cocoa butter,naturally derived bees wax,glyceryl monostearate and cetyl alcohol,vegetable glycerin,purified water. What the Product Claims : Lavender Based Natural Cleansing Milk delicately cleanses & hydrates the skin. This Paraben Free Cleansing Milk from Biobloom also contains Apricot & Jojoba Oils and preserves your natural moisture and acts as an emollient and has restorative qualities. Direction for Use : Apply Cleansing milk to moist face in gentle circular motion covering forehead,nose,cheeks,chin and neck.Massage for about a minute and rinse off with water or remove using clean and dry cotton. 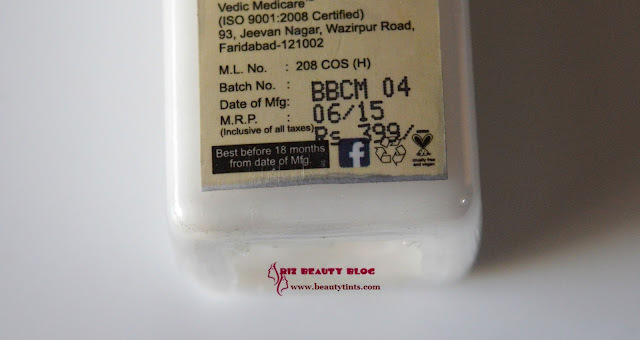 My View On the Product : I have used few Bio Bloom products before like their Lip Balm,Under Eye Gel,Anti dandruff oil etc., which I really liked and this is one more product which I am loving lately. This Lavender Apricot cleansing milk comes in a sturdy travel friendly bottle with a pump dispenser.It is easy to use and carry.The cleansing milk has a mild lavender fragrance which is very soothing and relaxing.It is neither runny nor thick and has a medium consistency and it spreads easily on the skin.I use it every night before going to sleep or any time in a day when I want to cleanse my skin.It removes all the dirt,grime and oil super effectively from the skin with out stripping off moisture,as a result the skin looks clean and nourished.It gets rinsed off easily with out leaving any residues behind.It is quite gentle and doesn't irritate the skin.It also removes foundation and normal makeup but it removes water proof make up like mascara,eye liner only to some extent.Only little is needed every time and little goes a long time.I just love how my skin feels after using this cleansing milk.It is enriched with the goodness of Lavender and apricot extracts along with rose water, cold pressed oils of Jojoba, Sweet Almond,wheat germ,cocoa butter.It is free from Parabens,formaldehyde,sulphates & petrochemicals.It is pricey for a cleansing milk but after looking at its impressive ingredient list,I feel it is all worth!!! Final Conclusion about Bio Bloom Lavender Apricot Cleansing Milk : Those who are looking for a mild and gentle cleansing milk for daily use which is all natural and is free from harsh chemicals and ingredients should definitely gives this wonderful Cleansing milk a try!!! Labels: apricot cleansing milk., Bio bloom Lavender Apricot Cleansing Milk Review, biobloom cleansing milk, biobloom product reviews, lavender cleansing milk, paraben free cleansing milk.